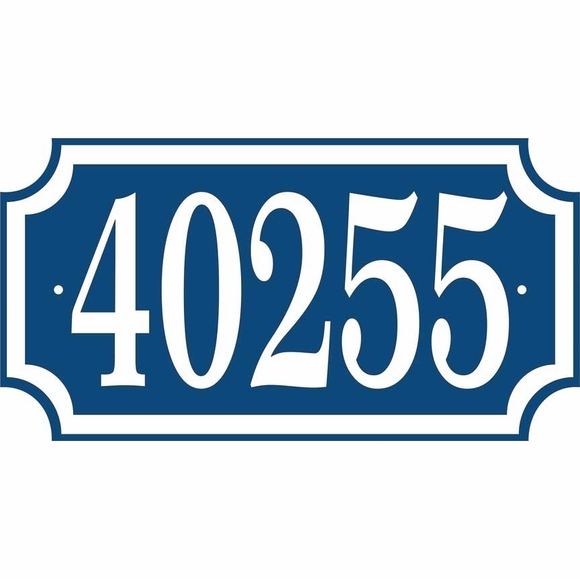 Custom one-line house number plaque holds up to five 4" high numbers or letters. Decorative cut out corners. For wall mount. Made in USA. Fast turnaround; ships in 1-2 days. Made from sturdy and UV-stabilized 1/8" thick laminated acrylic with engraved personalization. The address sign is fantastic! Looks wonderful and is very priced very well. 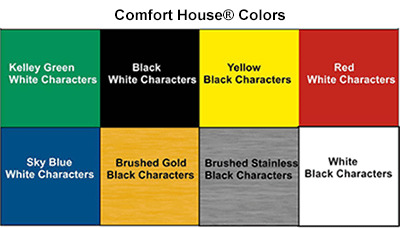 First time I used Comfort House! Barry @ 21222 PCH Malibu.